We love the no-nonsense approach to fitness taken by writer Nia Shanks in Lift Like A Girl. In an era of intimidation, a sea of tricks to “getting that perfect body” and feeling the need to “punish” ourselves at the gym, Shanks provides some much-needed perspective. She writes about keeping sustainable goals, knowing your version of “perfection” and being comfortable in your own skin. 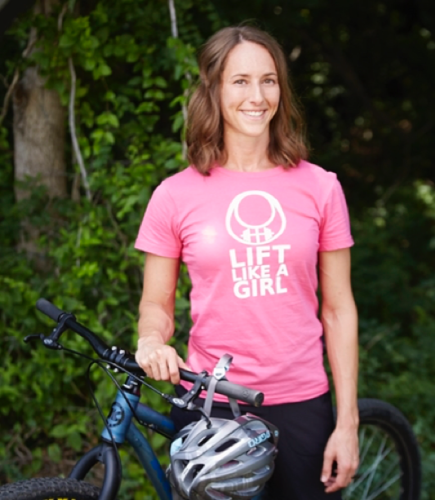 “The primary goal of this website, and ‘Lifting Like a Girl’ in general, is to equip you with information to become the best version of yourself,” she writes. “To improve your health and make your entire life better, and more awesome. It’s a way for you to discover the amazing things your body can do. It’s about embracing the truth that numbers don’t define your self-worth. Knowing that exercise is not punishment and you don’t have to earn your food. We’re big fans and look forward to her next post! Check out Nia’s latest post here.